Walk down the street and you’ll bump into people totally focused on their smartphones, whilst you narrowly dodge cars as you scroll your email. We’re obsessed! Image-based networks like Instagram, feed our love of sharing cool photos. I’m going to show you brands that’ve nailed visual storytelling; they’ve seen a trend emerge and they’ve milked it, with immense success. We’re online, we’re sharing comments, opinions, complaints, jokes, memes, and images – lots and lots of images. How often do you see something and think - WOW, that I have to share – think of the likes I'll get?! Your awesome burger, the coffee you’re supping, YAY - it’s cocktail time. 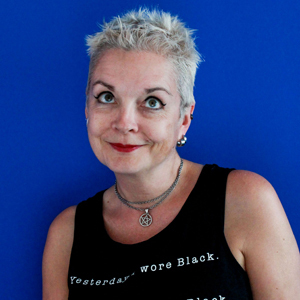 It’s up to brands to feed this… obsession, passion, quest for positive affirmation? Instagram Ideal & Pinterest Perfect! Whilst the following example of visual storytelling isn’t a trend, it does demonstrate a brand that has made its product Instagrammable. In 2015, Chili’s Grill & Bar assigned $750,000 a year to painting egg glaze on its burger buns. Why? Because it made them Instagrammable. It created ‘shareable food’ and it fed – see what I did there? - our desire to photograph food and post it online. The consumers sharing photos of these shiny burgers advertised a Chili’s product for FREE! Nothing beats a #Chilis burger. Especially when it looks like this. Shareable food - no longer an overpriced, understocked platter of nibbles to share with mates. To win at visual storytelling, you’ve got give consumers what they crave. We’re talking bold, fun, colorful, attractive, quirky - create a ‘look’ for your brand that embraces this passion for sharing everything. Go get the egg glaze - it’s a no brainer! Last count, Instagram boasted over 600M users, sharing 95M photos and videos every day. It’s the fastest growing social media platform, attracting more and more brands as they appreciate its potential for increasing brand awareness. Businesses are creating visual identities for products and locations that are Instagrammable, that people will want to share. 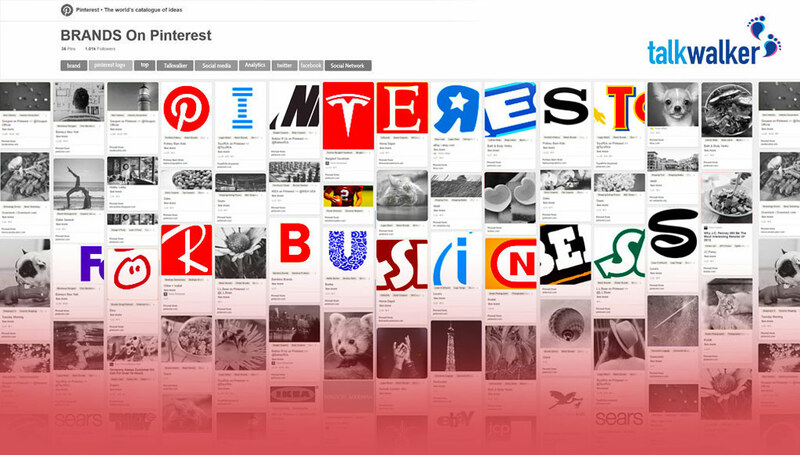 They’re jumping on visual trends and using them to drive brand awareness. I’m just going to tease you with a unicorn – as you do - all will become clear later. If you don’t allow your brand to adapt – to bend – you’ll miss out on free advertising. Yep, that’s what I said, free advertising. 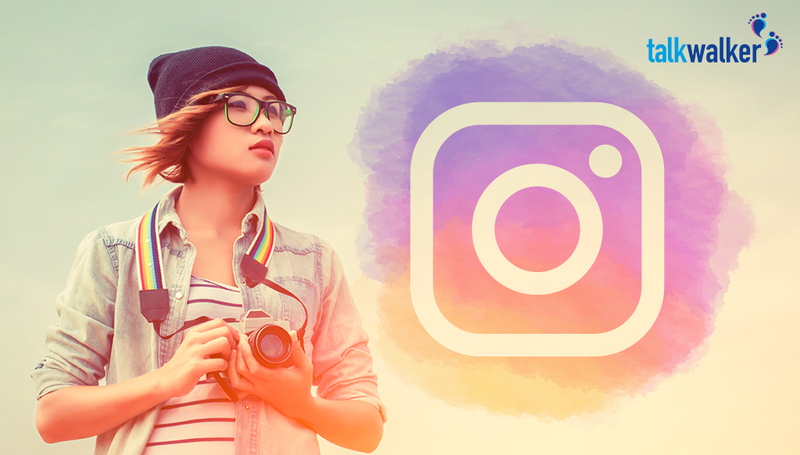 Instagrammers might not be the largest segment of your customer base, but they are the ones most likely to become your unofficial brand ambassadors. They just love to share. Influencers get Instagram - a report from HASHOFF shows that it’s both the most used network and the top social media network targeted by influencers. So, free advertising, brand ambassadors, and influencers – what’s not to love?!! Your Product Has to Make a Visual Noise! Having recognized the value of social media in your marketing plan, your business is busy engaging with customers online, providing customer support, answering questions, chatting. But, how’s your visual strategy performing? Do your products shout out to consumers on a visual level? Are they sharing photos of your products? Are they selling your products for you? Instagram is the fastest growing of all the social media platforms – you mustn’t ignore that. It’s popularity stems from our desire to photograph everything, and share – from coffee to cats, selfies to more selfies. “The pen is mightier than the sword” - Edward Bulwer-Lytton in 1839. Hate to tell you Ed, but this is the social media era and images are cutting edge. Jumping on a visual trend is a simple way to achieve visual virality for your product or brand. If it’s a trend worth exploiting, it’ll be hard to miss. The latest craze, something everyone’s talking about – a TV show, selfies. Or, it could be something that a celebrity has made popular – think Miley Cyrus, think twerking. Okay, you can stop now! The kind of trend I’m interested in for this post is the one that would not exist, but for social media. It’s trending because it looks good and people are desperate to share it. Social media is, after all, a visual culture; whether you're reading comments, or looking at photos and videos. Take a look online, what are consumers talking about, what are they sharing? 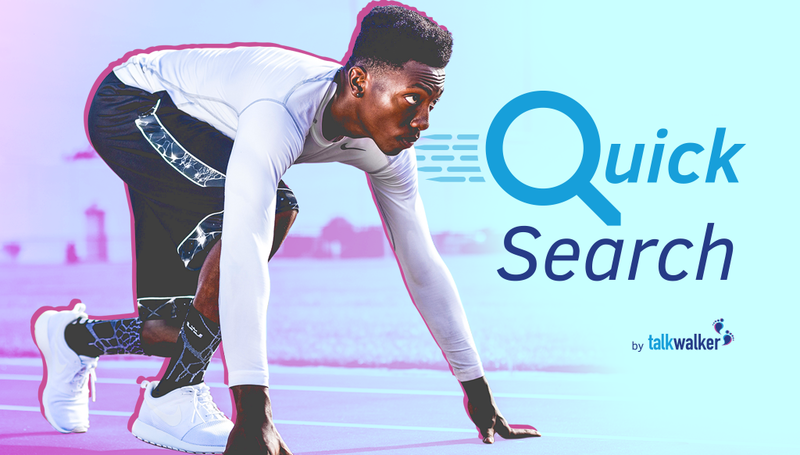 Quick Search is a search engine that'll find trending topics for any category. Just before we start, take a look at the emoji cloud above. See the unicorn? Here’re some great examples of brands making their products Instagrammable. Know me and you’d appreciate that pink, glittery sparkles are really not my thang! But, the trend for all things unicorn, isn’t going away. Ignoring trends is so not kewl! Whilst unicorns originally had a somewhat macho persona, nowadays they’re all pink, sparkly, cuddly, girlie - emasculated, metaphorically dehorned. According to mythology, unicorns could only be lured from hiding by young, female virgins. Falling under the spell of the almighty power of social media, the unicorn is back – if a bit more disco than of old. Brands witnessed the unicorn trend emerge and go visually viral; unicorn-themed products started to appear all over social media like a sparkly rash. In April 2017, there were 29,299 average daily mentions. Enter, Starbucks! Unicorn Frappuccino – why spend millions on advertising when you can get your customers to sell your products for you?!! One tweet, one Facebook post, one Instagram post. The day before the Unicorn Frappuccino launched, Starbucks had almost 51,000 social mentions. Launch day? 72,000. And, when it hit the shops? A whopping 177,000 mentions. As majestic as it is magenta... #UnicornFrappuccino. Color-changing, flavor-changing, potentially life-changing. #濾 Available for a limited time at participating stores in the US, Canada & Mexico. It went crazy on social, just cos it’s purdy! Clever stuff - Starbucks created a product far removed from its Italian branding, purely because it would photograph well and consumers would be desperate to share. Whilst Starbucks’ unicornification – try saying that after a glass – created a global trend, unicorn fever began in 2012, when unicorn poop hit the street. But, the marriage of unicorns and social media all started with unicorn toast. Yep, 394% in THREE months! Maybe it’s a peculiar hobby – taking photos of our food – but it is what it is, and brands are taking advantage of this visual storytelling craze and ensuring that their products are pleasing to the eye, selfie material – Intagrammable. I’ve caught the bug, here’re some more unicornification. This I have to try - please. In case you thought that the five-day promo from Starbucks was over, take a look at the emoji cloud below. A month after, and it’s still trending. Despite – allegedly - tasting unpleasant, consumers want it back. Notice the lipstick in the emoji cloud? An industry heavily focused on color, cosmetic brands leapt onto the back of the unicorn trend. On the eve of festival season, unicorns and make up are a marriage made in mythical heaven. Sephora squeezes the juice out of two trending topics, unicorns and festival season, using hashtag #coachella2017. Sephora promotes #festivalmakeup alongside unicorn love. Just because you’re in a muddy field wearing Wellington boots, doesn’t mean you can’t look great. Cosmetic company, Too Faced went unicorn-crazy with its products. Here’s the Co-Founder and Chief Creative Officer teasing with a #sneakypeek and a unicorn emoji. Fans of the brand went nuts trying to predict the new product, guessing at a liquid version of the Unicorn Tears lipstick. Rainbow grilled cheese from Chomp Eatery in LA promoted its sandwich alongside Gay Pride – visual storytelling working and supporting a cause. Consumers posted images of the rainbow-colored sandwich, whilst demonstrating on their Instagram accounts that they supported Gay Pride. Rainbow Sushi - Who Knew Unicorns Ate Fish! In 2016, the unicorn took off – yeah, in my head they fly – with Instagram currently having more than 4.8 million posts tagged #unicorn. We’ve enjoyed unicorn poop and unicorn snot – pretty, not tasty. Unicorn essence, unicorn tears, unicorn blood lipstick, even unicorn horn nail polish. You can eat unicorn noodles, unicorn sushi, and unicorn toast – meh, it’s cream cheese colored with beetroot juice – but what a magical, if slightly crazy, idea. Starbucks – possibly due to a sugar high – is busy creating more Instagrammable products. #mermaidfrappuccino and #dragonfrappuccino hit the ground running – well, not the mermaid as they don’t do running – and are available whilst stocks last. These flexible brands are simply giving consumers what they want. They’re shaping their products to fit a trend. They’re providing Instagrammable products. They’re gaining hundreds and thousands of brand advocates! If you’d like to try some unicornification of your brand, introduce a mermaid to your team, or find a new trend that would work for your product - sign up for a free demo and we can start some visual storytelling.